I do enjoy the Got A Ukulele Interviews, and have been keen to get this person featured for some time now. She is a well-known face in the ukulele world and has been for ages, but recently she has really found herself surrounded by the instrument on a whole other level. She is leading the organizing committee of the Grand Northern Ukulele Festival taking place 12-14 October this year in Pontefract UK, is the partner of one of the UK’s most respected luthiers, and is just an all round lovely person! Say hello to Mary Agnes Krell. Hi Mary! 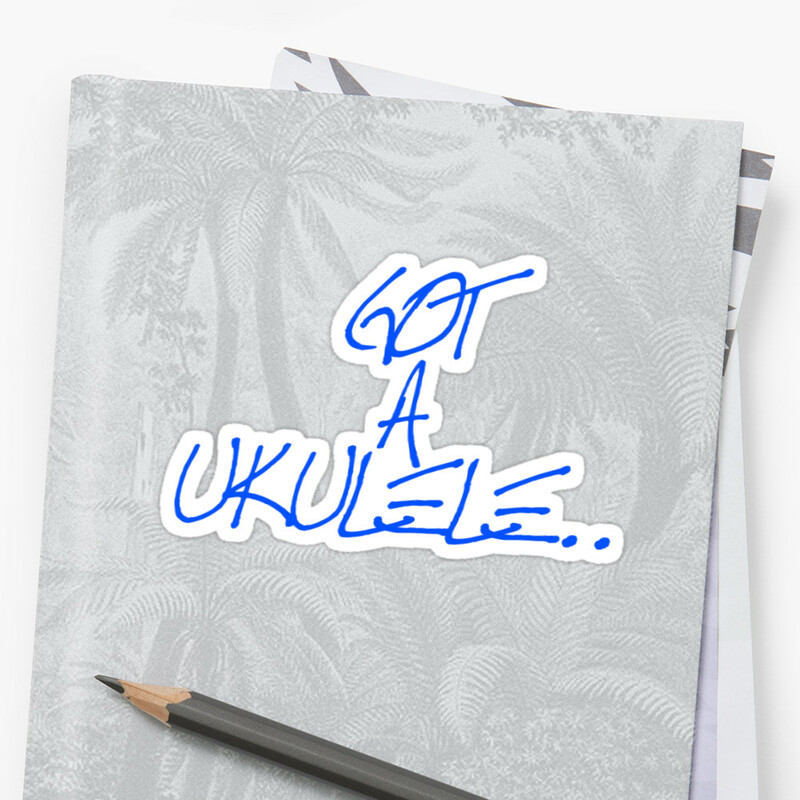 So, first up, give us some of your musical background that led to you being immersed in ukuleles. I have always been a lover of music. Ever since I was a child I’ve been in musicals and choirs and I’ve dabbled with loads of instruments. It’s funny because I can’t really sing very well at all but I properly love singing. A few years ago, at a music festival, I stumbled across a ukulele stall, bought one that wasn’t terrible (a soprano Lanikai) and, when I got home, found a local group. 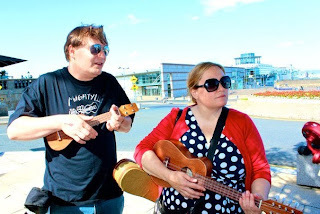 I started playing with the Brighton Ukulele Jam and later with the Wukulele group and never looked back. 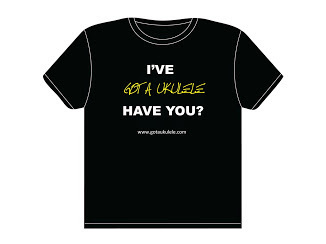 There certainly are a huge number of ukulele clubs in the UK now. Do you get along to clubs near to Hebden Bridge? I actually started a Hebden Bridge ukulele jam. It meets the first Weds of each month. I also try to get along to Haworth every once in a while and the Bradford group are great. It’s their first birthday this weekend and that is just a lovely thought. You originally hail from the USA – do you think there is much of a difference between the ukulele community on the two sides of the Atlantic? 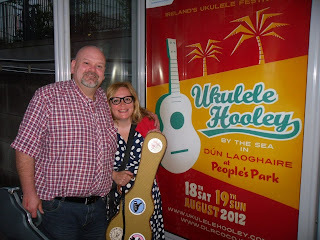 My exposure to the ukulele world in the USA has been intermittent. As a child in Los Angeles, everyone played it and, though it was comic, it wasn’t seen as the joke many would have you believe. 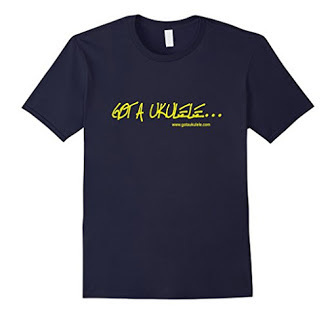 In the 90s and 00s, the ukulele groups I came across seemed to be really quite into the Hawaiian side of things (so my American ukey friend certainly played a lot more Hawaiian stuff and there were more Hawaiian shirts at uke gatherings). I guess I always chalked that up to the British uke heritage stemming from George Formby (who I’d actually never even heard of until a few years ago – sorry!). 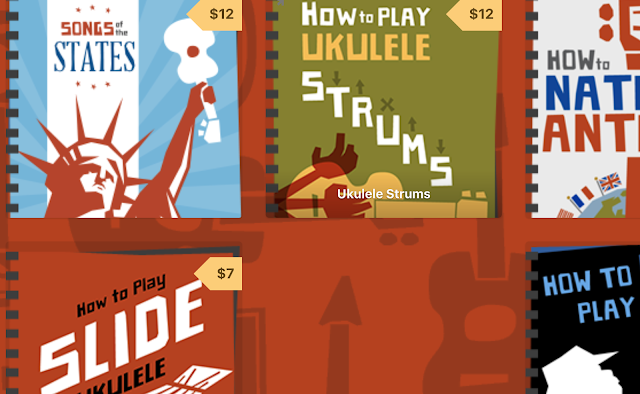 In the States, I always saw the ukulele heritage as stemming jointly from the Hawaiian tradition and from the late 20s and the depression era where it was a portable and inexpensive way to entertain. Ukulele festivals are are really booming now and the idea of one in the north of England is really exciting. How did the idea of a Grand Northern Ukulele Festival come about? I have always been a kind of organiser. 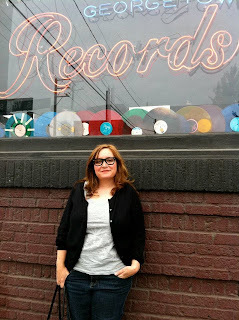 When I was at university, I started a coffee house with live music on my campus and helped start a radio station. I later went on to produce theatre and film (and even did a Postgrad degree in directing). When I started really seriously playing the uke in Brighton back in the noughties, I wanted to plan something then. 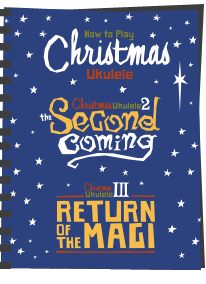 The problem was, by the time I felt I knew the people well enough, I’d heard that Daniela Gargiulo was planning the Wukulele/South Coast ukulele festival (so I helped her with the fringe for that festival). The desire never fully went away and this past year, a conversation started with Tony Casey. He too had wanted to organise a festival so we had a few discussions about the idea (could it work, should it happen?) and decided to do it. Well you are certainly in a good part of the world for roping in assistance (Mary’s team include local players Tony Casey, Rob Collins, Paul McCann, Lou Armer and Kris Ball). But I see you also ended up getting support from much further afield? It’s just really lovely and humbling and exciting. It’s certainly a big thing to take on - what has been the biggest challenge to bringing the festival to life? There aren’t enough hours in the day! And when planning it, what was your biggest ‘wish’ for the festival and do you think you will achieve it? I would like a ukulele festival where people feel welcomed and feel a part of something that brings them happiness. I don’t know if I’ll ever achieve it but I am certainly happy trying. Popularity fades in all things so it certainly has to happen with the ukulele. The scene in the UK is already very different from what it was a few years ago. 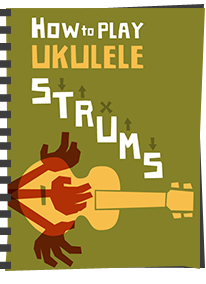 Uke groups and clubs are organising themselves in different ways and it seems there are far more clubs getting up to play in public and far fewer ukulele acts/solo performers/duos. That could just be my perception of things but I am not sure it matters. I think that is a fair assessment. One thing I am noticing more is the ukulele being played alongside other instruments more and more. Do you find that exciting? Heck yeah! I think live music is exciting. I really like the ukulele and one of the reasons I’m so excited to have Ukulele Uff and Lonesome Dave on our bill is that they are both so talented and the guitar and ukulele are equals in their performances. It also helps that Dave is one of the most talented guitar players I’ve ever seen. He certainly is. I loved their set at Cheltenham so thrilled to be seeing them again. So turning to home life, your partner Rob’s ukes are highly rates (Rob Collins is a UK Luthier who builds under the name Tinguitar) – do you contribute ideas to him on his business? You said earlier that your first uke was a soprano Lanikai, but I see that Rob features the Route 66 ukulele that you commissioned on his site. That really shows some of the great designs he can work up doesn’t it? You know, I almost gave you a picture of that uke but I didn’t want to seem like I was trying to push Rob’s instruments on people. They are great and don’t need an enthusiastic American to help sell them! Funny thing about the Route 66 uke though… I grew up in a tiny town called, “Monrovia” in California. We were properly poor and never really travelled BUT the Route 66 ran through my home town. That sign… the iconic US Highways sign was like some kind of vague promise… It didn’t matter where I’d come from because there was a road (a kind of magic road) running through my town. I know that sounds silly but that was what I believed as a little girl. So that Route 66 uke was an attempt to (re)capture some of that wonder and possibility. Was it a challenge to get right? Rob was the best designer one could ask for when working on that uke. I asked about a Route 66 uke and he went out and found the specifications for the vintage US Highways signs. He put them into CAD and then built the ukulele around it, emailing me with questions every time an important design decision came up. Don’t tell him this but he could have charged me twice as much and I’d not have blinked! OK, last one! I ask this to all my interviewees. 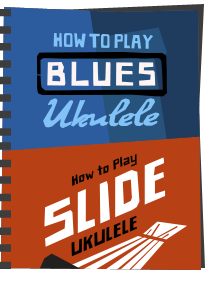 What is your best piece of advice for new ukulele players? Find a song you love to sing and learn to play it. Play it and sing it at home, at the top of your voice and just be silly with it. Also… try to find ways to challenge yourself. Don’t let your playing settle into a routine that bores you or you’ll just stop playing. I have found that taking lessons with Phil Doleman has helped me to grow as a player. I also took group lessons at Duke of Uke when I lived in London. I think lessons are pretty awesome. Very good advice Mary, thank you! A Grand Northern Ukulele Festival takes place on 12-14 October in Pontefract, UK, and features a dazzling array of international performers including Manitoba Hal Brolund, Ukulelezaza, Ukulele Uff and Lonesome Dave and Chonkinfeckle. Alongside the performances is a packed weekend of fun, workshops and much more. You can find out more about the festival at http://www.northernuke.com. Hurry tickets are going fast! For details on Rob Collins ukuleles visit http://tinguitar.com or attend the Grand Northern Ukulele Festival where he will have a stall! It is interesting the observation about more ukulele groups getting up to play rather than solo/duo performances and this is good but, big BUT ukuleles will become a quick passing fad again if everyone in groups plays the same thing so let's see more groups getting orchestrated to give an overall pleasing sound to the audience.